The proposed rule change would require ranchers to more than triple most sheepherder wages, to between $2,125 and $3,244 per month, in addition to free housing, food, clothing and supplies provided by rancher employers. The following information is intended to provide a summary with basic talking points. The ASI provided the details, courtesy of their legal team. When making comments, it is important to convey your story and how this impacts you or your organization. Current wage rates for H-2A herders vary by state. In addition to wages, employers also provide food, housing, clothing, supplies and all travel and visa expenses. The proposed changes would triple most of these wages while employers continue to provide food, housing, clothing, supplies and all travel and visa expenses. A 5-year "phase in" period is proposed for the new wage levels with employers paying 60 percent of the new rate in 2016, increasing by 10 percent each year until employers would pay the full rate in 2020 and beyond. "More than 40 percent of all sheep in the United States are herded by H-2A workers," states Orwick. "This alarming proposal not only threatens the existence of hundreds of sheep operations, it also jeopardizes the survival of many lamb and wool businesses." The U.S. Department of Labor (DOL) issued a Notice of Proposed Rulemaking (NPRM) on April 15, 2015, titled the "Temporary Agricultural Employment of H-2A Foreign Workers in the Herding or Production of Livestock on the Open Range in the United States." The NPRM arises from a court order directing DOL to engage in notice-and-comment rulemaking to replace informal Training and Employment Guidance Letters (TEGLs) as to the "special procedures" for H-2A sheep, goat and livestock herding occupations. 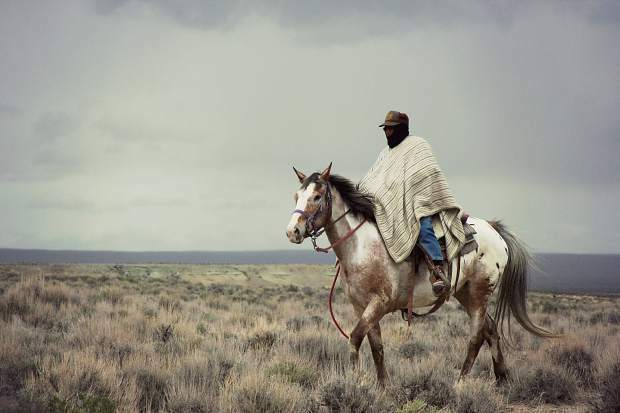 As the ranchers who rely on this program for herders had feared, DOL has made massive changes to the longstanding program requirements that threaten to put them out of business and end this way of life. In support of imposing stricter requirements on employers, the NPRM claims that "DOL has received complaints concerning housing conditions" without identifying any of the cases or whether the charges were actually upheld and that "several cases have been litigated in which workers' health and safety were at question." Of those "several cases," only 3 are identified and only 1 involved a final court decision. For each case, the charges were brought based on already existing regulations to protect these workers, suggesting that the existing regulations already work. While DOL does recognize the unique characteristics of occupations involved in grazing livestock production, the terms and definitions they use should be updated to more accurately reflect the circumstances and requirements of these jobs. Historically, the term "open range" has referred to certain types of livestock production and management practices. As our society has progressed, those production and management practices have evolved. While these jobs retain unique occupational characteristics, the production practices must reflect the changes in our society, our environment and our resources. DOL's insistence that livestock grazing only takes place away from fences is unrealistic and not practical for grazing. Even when grazing on large allotments of land, herders rely on fences to keep the livestock in a manageable area. Additionally, many sheep ranchers in the West rely on the ability to graze their sheep on crop residue and close to the urban interface (i.e. forage reduction for fire prevention), which requires the livestock to be watched and under the care of an H-2A sheepherder employee. The definitions and job descriptions for all occupations involved in the grazing production of livestock should include the input of stakeholders. As they are presented in the proposed rule, the definitions and job descriptions would make it impossible for a large percentage of current users to comply and hire H-2A labor. The grazing livestock industry recognizes the need for a new wage determination methodology. Especially a wage determination method that does not allow for the stagnation in wage rates that has occurred for the last 20 years. However, if the wage determined is larger than a producer's profit margin, the result will be an overall loss of jobs (both U.S. and foreign) and a severe blow to livestock industries when people are forced out of business. The most obvious change in the NPRM from the system that has been used successfully for decades is the wage rate for H-2A herders. Workers are paid a monthly salary at a rate set by the applicable state workforce agencies based on surveys of livestock operations. Current rates vary by state, ranging from a minimum of $750 to $1,600 per month, not including free food, housing, clothing and all other supplies. The NPRM would more than triple most of these wages, to between $2,125 and $3,244 per month, in addition to free housing, food, clothing and supplies. The base wage used by DOL reflects what is paid to other categories of H-2A workers who are not provided free food, housing, clothing and transportation expenses. Currently, herders entire monthly salary is disposable income because employers provide for all of those expenses. Employers will basically be forced to pay twice for all of these things – by providing them directly and through higher wages. The DOL proposes a wage change phased in over 5 years. This is appreciated, however, even with a "phase in," the proposed wage calculation would result in at least a 50 percent increase in most states. Beyond the significant wage increase, the remaining provisions will further increase the cost of doing business. The unrealistically modest $45 million in additional wages that DOL itself projects from 2016-2020 will be in addition to the increased non-wage employer costs of more than $5 million per year, and that estimate is likely on the very low side. The stated purpose of DOL's massive wage hike is to "adequately protect U.S. and H-2A workers." The NPRM concedes that there are, at most, 18 U.S. workers in this occupation as of 2014, with the total number declining each year. For each U.S. worker, wages across the industry would rise by more than $1 million/year during the 5-year phase-in. Higher wages will not result in more U.S. workers seeking jobs in open-range herding. State laws in Oregon and California already require herders to be paid more than $1,600 per month. Employers there do not see more applicants than their counterparts in states with a $750 or $800/month salary, nor do they see a decrease in the number of workers leaving their jobs for fixed-site employment in town. Simply forcing employers to triple their wages will only result in a flow of a projected $45 million out of the U.S. economy to foreign-herders' home countries over the next 5 years; all while U.S. employers go out of business from the burden. Given the current domestic and international market, however, few, if any, of these employers will still be in business by 2020. Most sheep-operation revenue is from sales of lambs for meat. The 2012 and 2013 slaughter lamb markets were a disaster with ranchers, feeders and meat companies losing tens of millions of dollars overall. The 2014 lamb market improved to profitable levels, however, the U.S. Department of Agriculture cooler-inventory reports for lamb meat that year and to date have shown record high levels of lamb in storage, which indicates worsening demand even at this year's lower slaughter-lamb prices. 3 of the last 4 years of lamb returns do not bear out the Department's estimation that ranch income can withstand triple cost of labor. The sheep and livestock industry could not possibly triple the prices that they receive for their products to keep pace with tripling wages. The increased wage costs proposed in the NPRM will cause ranches to operate at a loss almost immediately, with further wage increases to follow. DOL acknowledges that the NPRM "will have a significant economic impact on a substantial number of small entities." The impact on the employers will be devastating, but the NPRM does not consider the economic impact on the businesses that supply those employers or process their products. Each H-2A open-range herder position creates 8 U.S. full-time jobs, and the loss of each H-2A position will mean the loss of those jobs, mostly in small western towns. The NPRM has no calculation of the cost of family farms forced to liquidate their herds and end a generations-old tradition. The wage rates proposed in DOL's new NPRM for herding and grazing livestock production workers have no connection to the market realities for the industry. By arbitrarily and outrageously inflating wage costs for employers, DOL will inevitably put these ranches out of business – many within the next year and the rest in short order after that. The Department of Labor has issued a rule that will have staggering and far-reaching effects on the American herding industry. If DOL had engaged in a conversation with the stakeholder industry, they would have heard about the calamitous effect of their proposed rule. Instead, they have ignored the industry's proposals, refused repeated requests to meet and allowed an impossibly short amount of time to comment on the Rule. The effect of this Rule is clear – American family farms will be forced out of business and a way of life will be lost. We urge Congress, national associations and local governments to speak up and tell DOL not to put American ranchers out of business. If you use the H-2A herder program, indicate so in your comments and how the impact would affect or end your operation. Sheep producers and lamb or wool affiliated businesses should indicate that loss of the herded operations will impact the entire industry and loss of companies. Legal advisors assisted with the second set of points and I note they view the definition of open range changes to be just as threatening as the wage proposal. • DOL's insistence that livestock grazing only takes place away from fences is unrealistic and not practical for grazing. Even when grazing on large allotments of land, herders rely on fences to keep the livestock in a manageable area. Additionally, many sheep ranchers in the West rely on the ability to graze their sheep on crop residue and close to the urban interface (ie forage reduction for fire prevention) which requires the livestock to be watched and under the care of an H2A sheepherder employee. • The definitions and job descriptions for all occupations involved in the grazing production of livestock should include the input of stakeholders. •As they are presented in the proposed rule, the definitions and job descriptions would make it impossible for a large percentage of current users to comply and hire H2A labor. Postal delivery in Washington, DC may be delayed due to seccurity concerns. If you use the H-2A herder program, please indicate so in your comments and how the impact would affect or end your operation. Sheep producers and lamb or wool affiliated businesses should indicate that loss of the herded operations will impact the entire industry and loss of companies.